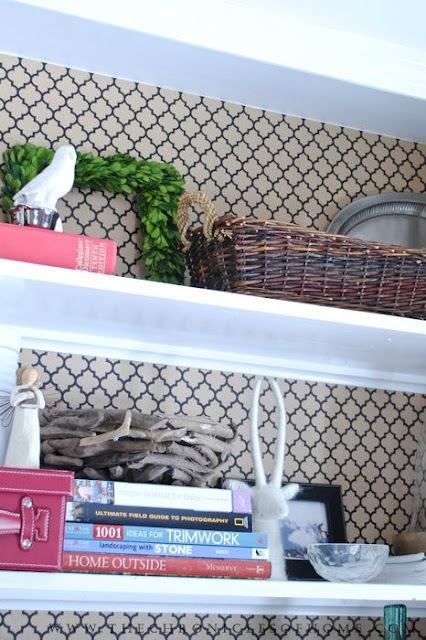 inviting home without spending a lot of money (and of course, my blogging friends). much fun to see someone put their own twist on a project inspired by one they saw here. Inspired by the styling on the Emerald dresser in our dining room. and I bet you have one! Didn't she do a wonderful job? She also shows the fabulous winter vignette before she changed it up for spring. and lined her office built-ins for $2! Pretty styling here, too! it didn't look anything like this when they moved in! showed a handful of awesome diys that are on her list...I want every single one on my list! 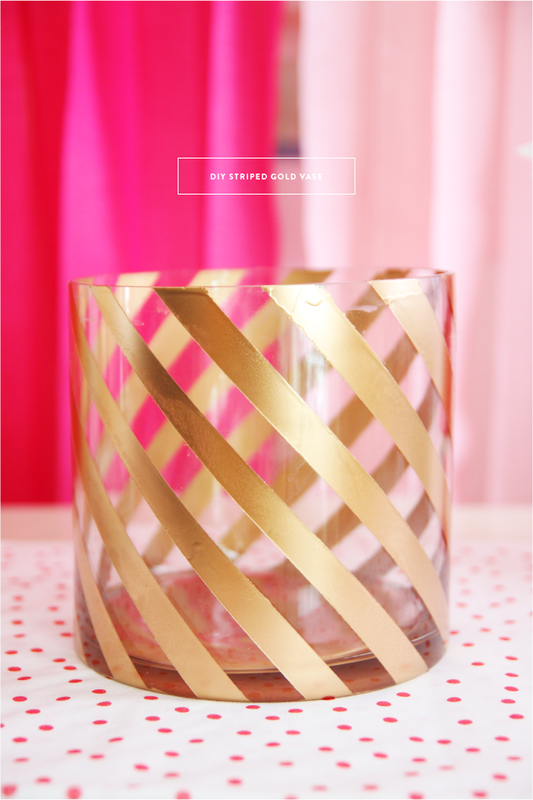 Here's a peek...DIY Striped Gold Vase, check out her blog for the others. on her blog. If you've not familiar, it is a paint color blog and a great resource. the One Room Challenge, it's great having you along every week! What great inspiration. I have the wrapping paper too. Now my head is spinning. Thanks for sharing my entry with your readers! Your projects and posts share so many great ideas, I love stopping by to see the latest! So many great ideas out there! Thanks for introducing us to some new blogs! (Now I will never get anything done today - LOL). Enjoy the rest of the week! Love the kindness you're spreading, friend! It's no wonder why people are drawn to you/your projects. Thanks for introducing me to these wonderful girls and their blogs. I will be following them for sure! That home is so charming. Talk about curb appeal. Going to check out the others. This is great Pam! I like your objective here:) and great title to the post. My blog is FINALLY back up and running..it's good to be back! We think alike my friend! I really love Darci's blog and though that gold striped vase was so pretty and of course I pinned it! And Dawn's entry of course is perfect. Going over to visit Jennifer's blog! Going to check out these new to me blogs - thanks Pam! That first vignette is really pretty and I love the warmth of the console.